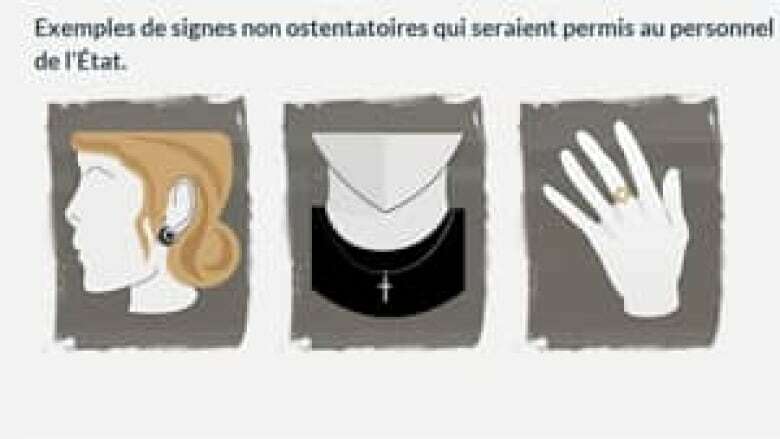 Public employees would not be allowed to wear visible religious symbols at work under the proposed charter of Quebec values, released by the Parti Québécois today. 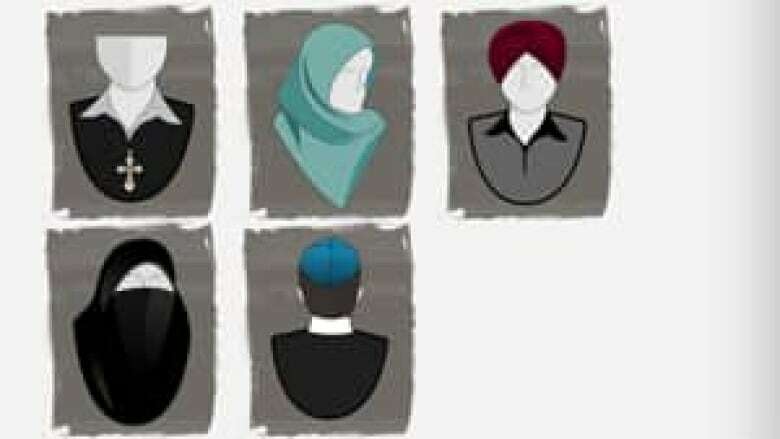 The minister in charge of the charter, Bernard Drainville, announced at the national assembly that if the charter were adopted by the legislature, the wearing of kippas, turbans, burkas, hijabs and "large" crosses would be banned for civil servants while they are on the job. "If the state is neutral, those working for the state should be equally neutral in their image," said Drainville. The plan would apply to judges, police, prosecutors, public daycare workers, teachers, school employees, hospital workers and municipal personnel. Drainville said some institutions and public organizations might be able to opt out of the ban for a five-year period. However, he said, daycare workers, elementary school teachers and early-care providers would not be eligible for the opt-out. The charter would also require that anyone who received or administers services from the state would have to uncover their face. "People have to be identifiable, mainly for security purposes," said Drainville. Limit the wearing of conspicuous religious symbols. Make it mandatory to have one’s face uncovered when providing or receiving a state service. 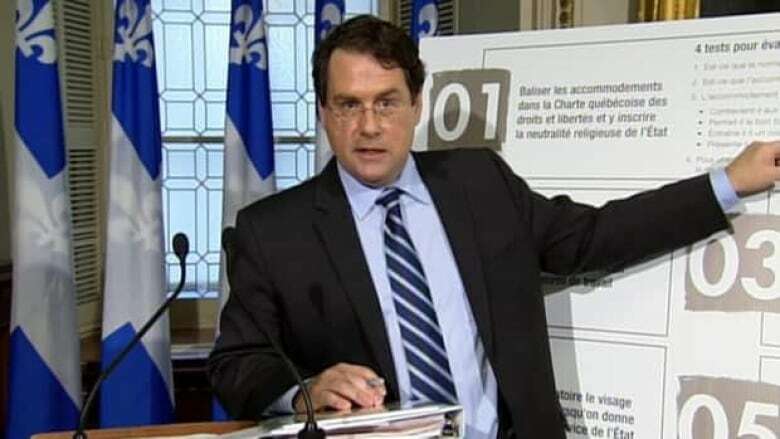 Drainville said elected members of the national assembly will not be subject to the regulations. Though no timeline has been announced, the bill is expected to be tabled sometime in the coming months. Federal Liberal Party Leader Justin Trudeau said this afternoon that Premier Pauline Marois is trying to create tension between the federal and provincial governments with the proposed charter. "Madame Marois has a plan. She has an agenda. She’s trying to play divisive identity politics because it seems to be the only thing that is able to distract from the serious economic challenges that we’re facing as a province and as a country," Trudeau said. "But Quebecers and Canadians are better than that." He said he expects Quebecers to push back against the proposed charter. Last week, provincial Liberal Leader Philippe Couillard told CBC News the PQ was purposely trying to create trouble in Quebec. "It creates division and I’m afraid this is the objective here," he said. NDP leader and Montreal MP Tom Mulcair said in August that he doubted the PQ could pull off a proposal such as this one. At the time, he compared the proposed ban on religious symbols to Marois musing last year about requiring language tests for candidates in municipal elections. "And I said, look, it's so patently unconstitutional they'll never do it. And guess what? It was so patently unconstitutional, they never did it," Mulcair said. When asked this afternoon about his position now that the PQ had formally announced its charter, he said that he would fight it. "Last year, I remember being asked to react when Madame Marois mused, in time for the provincial election, about having language tests to run in a municipal election. Of course it was absurd and I said they'd never do it. And guess what? It was absurd, it was illegal, unconsitutional and, of course, they never did it, but she provoked the reaction she wanted," Mulcair said. "She was sending a signal — a low frequency signal to her base." He said there was chronic, systemic discrimination in the province, and that it was "intolerable" and "unbelievable" to him that a woman who wears a headscarf and who works as an educator could lose her job. As a minority government, the party needs the support of some of its opponents to pass any legislation tied to the proposed charter. But members of opposing parties have expressed deep concern about the language the PQ has used to explain the charter. The premier has been under fire ever since those details were leaked in August. On the defensive, Marois has tried to explain why the charter’s aim at religious symbols in public institutions and the workplace was important to the PQ and to the province. She told the French-language newspaper Le Devoir in an interview that people in England had turned to violence because the country lacked a sense of identity. Marois also said women who wore hijabs and who worked in daycares could be in a position to incite children to practise religion. An online poll released today suggests public support is growing for the charter in Quebec. The survey conducted by SOM, one of the largest survey firms in Quebec, pegs support for a secular charter that would ban religious symbols for public employees at 66 per cent. A poll conducted two weeks ago by Léger Marketing for le Journal de Montréal found support to be 58 per cent. And the PQ is already moving to garner public support. 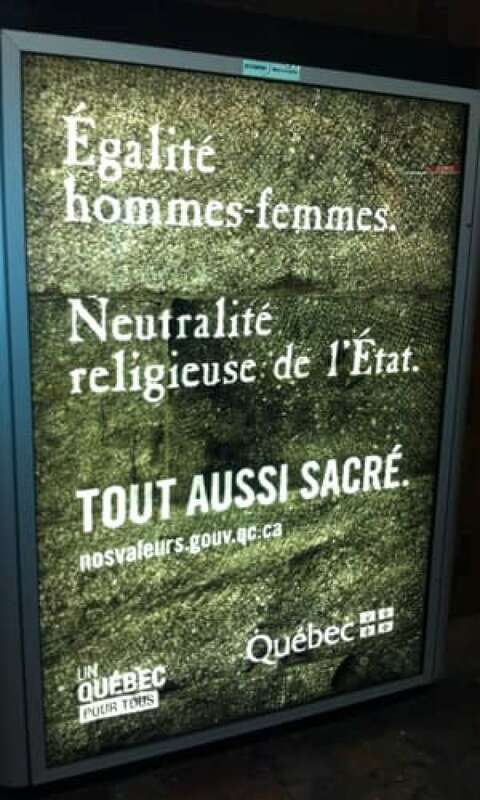 CBC News reporter Sean Henry saw ads promoting the charter in the Montreal Metro on Tuesday afternoon. 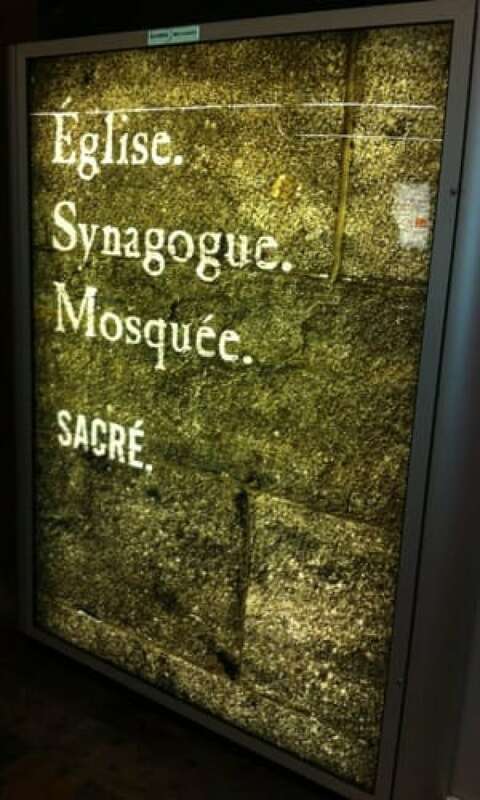 The side-by-side French-language ads read "Church. Synagogue. Mosque. Sacred." and "Equality among men and women. Religious neutrality of the state. Also sacred."